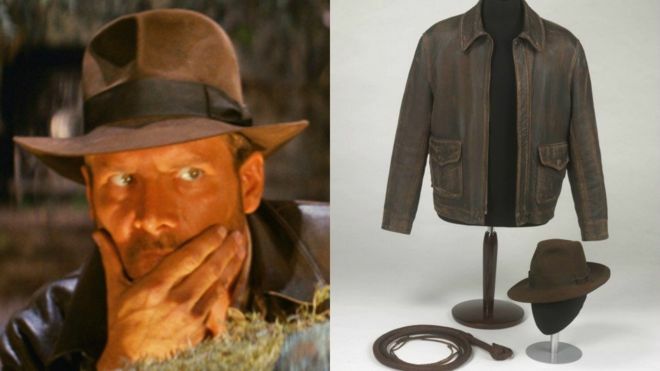 A new exhibition is coming to the National Museum of Cardiff and Indiana Jones will be a key feature, or at least his clothing and iconic whip will be. The Treasures: Adventures in Archaeology exhibition will include gems from popular culture including the hat, whip and jacket of Indiana Jones, crystal skulls and Inca Gold alongside early finds such as Egyptian Mummies. Step into the world of famous explorers and go on an adventure to uncover treasures from around the world, at an exciting new exhibition opening at National Museum Cardiff in January. The Treasures: Adventures in Archaeology exhibition is on display at National Museum Cardiff from26 January – 30 October 2016. The exhibition will be one of the first events in Wales’ action-packed Year of Adventure. The year aims to promote Wales’ adventure offer, from thrill-seeking activities such as zip wires and mountain biking to exciting exhibitions in museums. It will also include celebratory events to mark the centenary of adventure writer Roald Dahl. Wales’ Deputy Minister for Culture and Sport, Ken Skates announced some of the key objects on show as part of the exhibition at National Museum Cardiff. “2016 is the Year of Adventure in Wales and what better way to celebrate than with an exhibition showcasing treasures discovered by explorer archaeologists and artefacts from films featuring the world’s most famous movie adventurer, Indiana Jones? “I am delighted with the collection of objects that will be on display at the Museum which each have a thrilling adventure linked to them. I hope this exhibition will attract new visitors, who can discover the adventure stories behind these items and the exciting explorations of archaeologists – from uncovering lost treasures to solving ancient mysteries. The exhibition will tell the stories behind great archaeological discoveries from the ancient civilizations of Egypt, Greece, Rome, Pre-Columbian America and Rapa Nui (Easter Island), some of which have never been seen in Wales before. It will include a whole host of fascinating objects and treasures from ancient worlds as well as more recent examples uncovered in Wales. Visitors will be encouraged to follow in the footsteps of archaeologists, historical and fictional, to uncover the stories behind some of the world’s ancient treasures. Star objects will include an Egyptian mummy, Roman treasures and a crystal skull from the film Indiana Jones and the Kingdom of the CrystalSkull, thanks to Lucas Museum of Narrative Art; human skulls from Viking-age burials at Llanbedrgoch, Anglesey; and a 19th Century crystal skull from Musée du Quai Branly Paris. The archaeological investigations of individuals such as Giovanni Belzoni (Italian explorer and pioneer archaeologist of Egyptian antiquities), Flinders Petrie (Egyptologist) and Adela Breton (archaeological artist and explorer) will be explored. This will be contrasted with adventure today and the impact of archaeological discoveries on popular culture, fiction and film, from Tintin and Indiana Jones to Rider Haggard and Conan Doyle. “Archaeology is about mystery, discovery and science as well as popular culture. It has inspired adventurers, writers, poets and film makers for over a century.